Founded in 2015, Hi5 Youth Foundation is a professionally managed non-profit organisation based out of Mumbai. 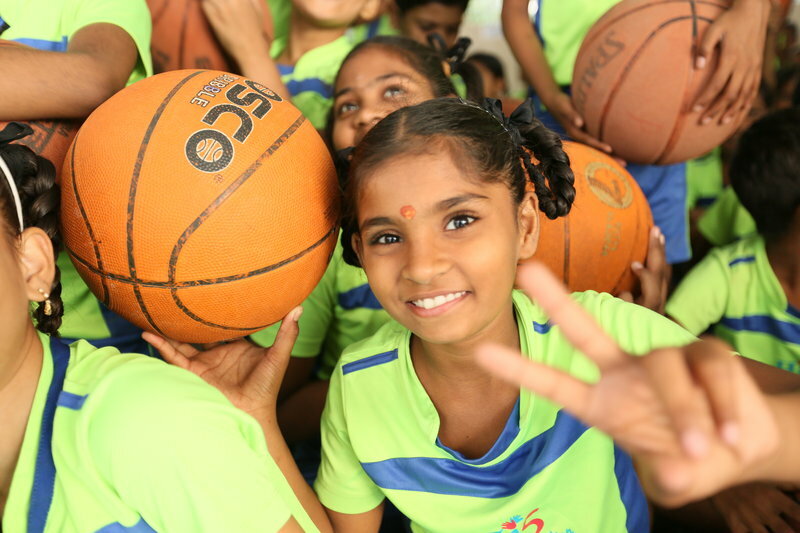 The foundation aims to revolutionize the state of basketball in India from the grassroot level. We’ve built a multi-level, four-year program that gives underprivileged children across Mumbai access to basketball coaching. Our motto is, thus, to spread ‘hopes through hoops’ that makes a difference in the lives of underprivileged children by providing necessary infrastructure to teach them how to play and excel at basketball. 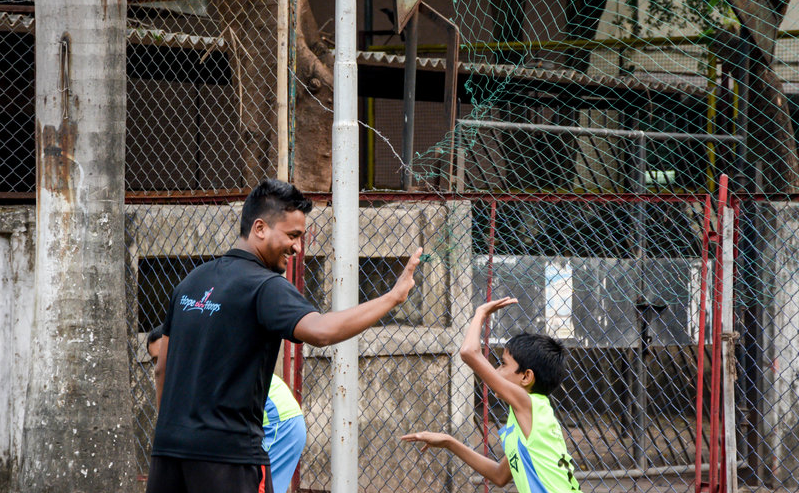 At Hi5, we believe that sports is not the medium but the platform for these children to develop improved life-skills, to better their performance, and build strong aspirations to do well in their future. Giving a ‘high-five’ is an action in the game that illustrates scoring or winning. That’s how we envision our children—to be championing through life! 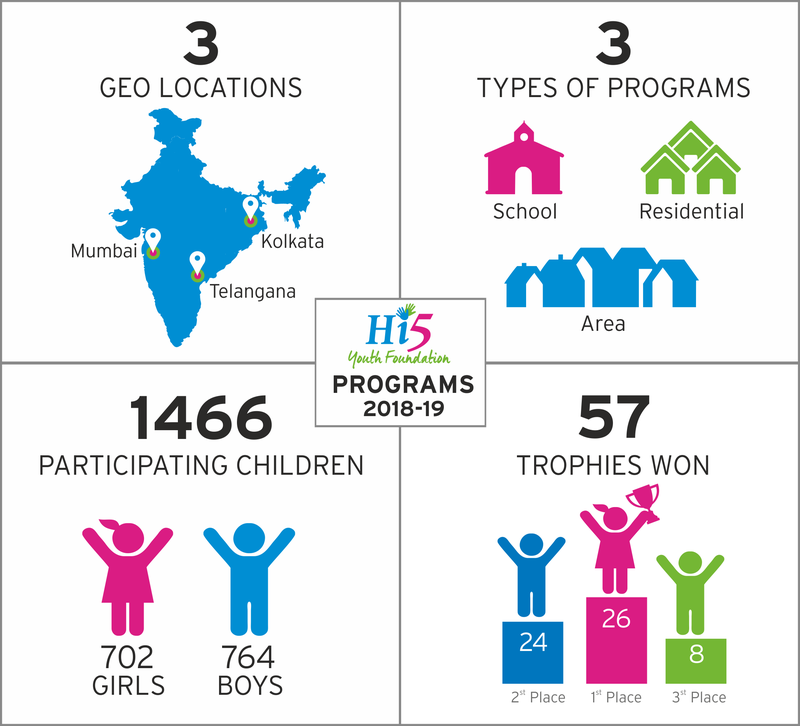 Hi5 currently supports over 1400 children’s, 16 centers (11 BMC school, 3 Area Slum Programs, 2 Tribal/Residential Program) and 25 coaches (Learn more about the centres here). We identify young and promising talent across these schools and centers and nurture them to enhance their performance. Our flagship program is ‘Hope Thru Hoops’ that runs for four-years and across four levels of Beginner, Intermediate, Advanced, Elite (Learn more about other programs here). Each center is assigned a dedicated full-time coach, who trains the students right from the Beginner level. These coaches follow an in-house curriculum that is co-developed by them and the leadership of Hi5 Youth Foundation. The Foundation conducts regular and periodic tests and tournaments to measure how the student, coaches and the overall center is performing so that the program can sustain, scale and become successful. Our objective is to make sure we run a program that is effective in learning how to play basketball without forgetting to have fun while doing so! a) Helping them learning important life-skills through the game : From learning how to become a team player in the game of life, becoming disciplined about their habits, developing a positive outlook in life to being kind and respectful to others. b) Developing the earnestness to excel at the game : Unless you strive to excel at the game, developing improved life-skills is going to be difficult. Both go hand in hand. The earnestness to be great at something is a positive drive that can turn their lives around for the better. c) Respecting each other’s game, irrespective of their gender : At Hi5, we give both boys and girls equal opportunity to grow and learn. We train them to respect each other’s game and be appreciative of each other’s efforts. We stay gender neutral as an organisation and encourage parents NOT to discriminate between both the genders as well. As for basketball, specifically, we believe that it is the perfect sport for India—it’s low cost, takes less space and is high in energy, where ten people can play with one ball and basket. Basketball as a game contributes to physical wellness, mental health and social collaboration, such as play, recreation, organized or competitive sport, indigenous sports or games. It’s a team sport that encourages the idea of working together towards a common goal that raises everybody’s morale.